Concrete typically isn’t the most exciting material to work with. Or at least, the way we express ourselves with it tends to be rather dull: grey, square, and unimaginative. 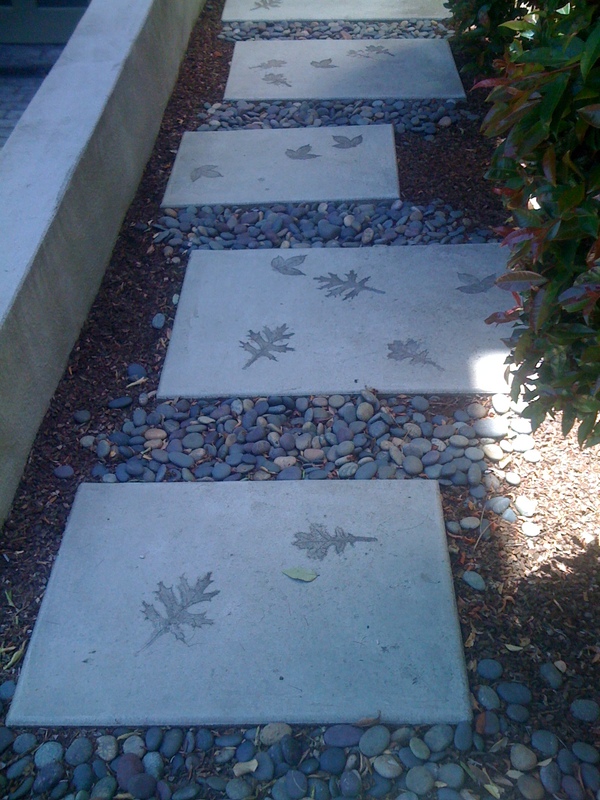 But these concrete stepping stones are eye-catching and enlivened with leaf impressions, which were simply pressed into them while they were still curing. Look at the photo, look away, now look again and mentally erase the leaves. A completely different effect, right? This path dances. 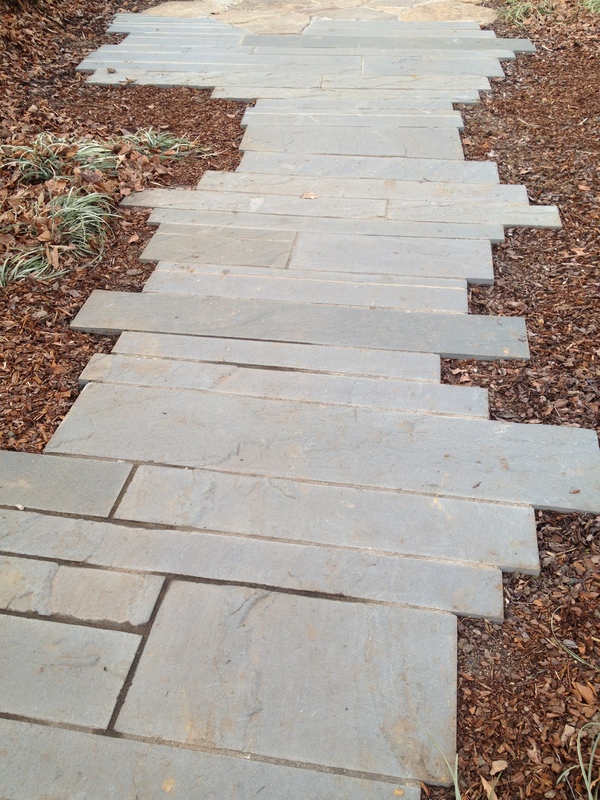 On the other side of the country, the offset stone walkway at the United States Botanic Garden in Washington, D.C. evokes a similar feeling. Just by using different widths and arranging them with a highly varying edge creates something fun and unusual, turning a small spot into art. ← Steep Hill Ahead? No problem!